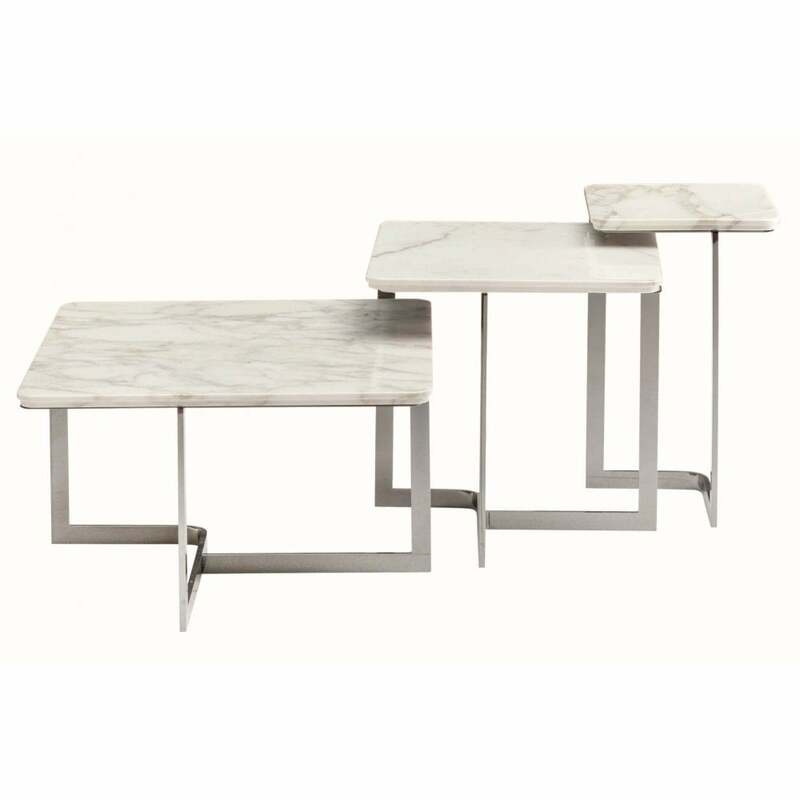 Embrace the marble trend with the Yoshi set of coffee tables from Daytona by Signorini & Coco. The thinly veined white marble surface sits atop a geometric interlocking base. The base is constructed from a polished stainless steel which beautifully complements the surface detailing. The nest of tables come as a set of three and can be stacked together to create a stylish, space saving furniture solution. Style in the living space alongside natural marble accessories for a cohesive look.